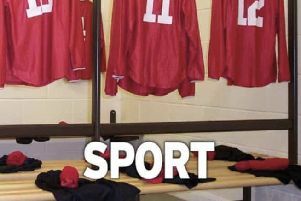 A disappointing performance from Freiston, Leake and Leverton saw them slump to defeat away at Grantham Seconds in the South Lincs and Border League Premier Division. After losing the toss and fielding on a superb batting surface, Ollie Booth had Mudie (11) caught at slip by Taimur Mian. Zakir Gatta trapped Wing LBW for seven as Freiston made a decent start. However, Parmley and Bennett (43) batted really well for the hosts, although a few chances were missed. Bennett was caught by Yasir Tanoli off the bowling of Abdul Moeed, but Parmley took advantage of the chances given to him to make 117. Taimur Mian picked up two wickets at the death as Grantham closed on 211-5. With a quick outfield and good pitch Freiston stood a good chance of reaching their target. However, no batsman made a sizeable contribution as Freiston were unable to form partnerships. Only Abdul Moeed (32) and Yasir Tanoli (34) made it past 20 as Freiston were bowled out for 161. In the SLBL Division Two, Long Sutton Seconds beckoned for Freiston in a game that saw 19 wickets fall for just 132 runs. Winning the toss, Tom Appleyard decided to bowl first. J.P. Horton and Steve Appleyard continued their fine form as Long Sutton were quickly reduced to 22-4. A hot day took its toll on the opening bowlers as opener Wright frustrated Freiston with some boundary-hitting shots, but eventually Appleyard got his man. Horton had an excellent display of line and length bowling as he went on to take six wickets. Appleyard finished with three to take his tally for 29 for the season. A. Singh took the final wicket as Freiston did well to bowl Long Sutton out for 85. Requiring 86 to win, batting could not have begun worse start as Tom Appleyard was out for no score as he drove at one that popped up from the pitch and was caught at mid off. From then one it was a collapse with just one batsman, Sandeep Singh, managing double figures as Freiston were bowled for 47.